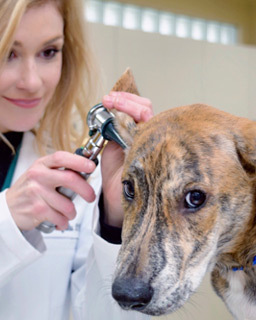 Our emphasis is on providing the best care for your pets. We recommend yearly visits to help your pet stay healthy and live longer. Within these visits, owners can choose to perform a variety of vaccinations, heartworm tests, routine blood work, check for intestinal parasites, radiographs, and a physical exam to check the general health of your pet. Our Doctors can speak to you about the importance of flea/tick & heartworm preventative in South Louisiana and further discuss your options. Provides evidence as to any underlying issues your pet might be suffering from. Creates a baseline to use as a comparison for blood work done in the future when your pet is ill. It is a recommended component of any procedure that requires anesthesia, such as a dental cleaning or the removal of a skin mass.